Not for me thanks. I prefer chocolate Christmas candy. Early riser. Get up!! Santa was here!! 3. 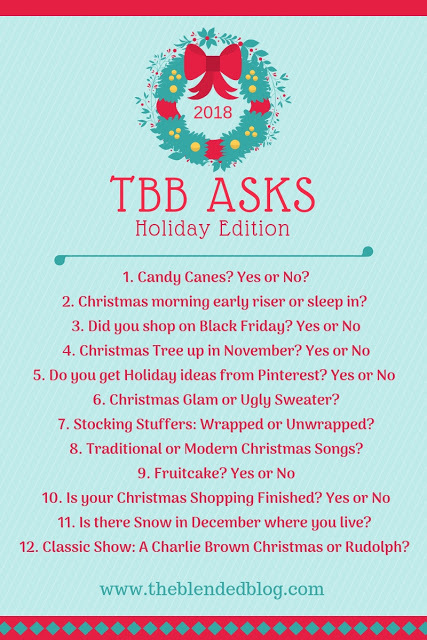 Did you shop on Black Friday? Yes, but only online this year. I have been to the malls and outlets in year's past. I like the excitement but I'm not going for electronics or anything where there is a big rush at the door. 4. Christmas tree up in November? No. We usually get ours the first weekend in December. 5. Do you get Holiday ideas from Pinterest? 7. Stocking stuffers wrapped or unwrapped? Both! Give me all of the Christmas songs. Sure, it's okay, but I never make it. 10. Is your Christmas shopping finished? I feel like it is never finished, I am always picking up odds and ends right to the last minute, but I would say it is about 90% done. Yes, we have the potential for snow but we don't always have a white Christmas. 12. 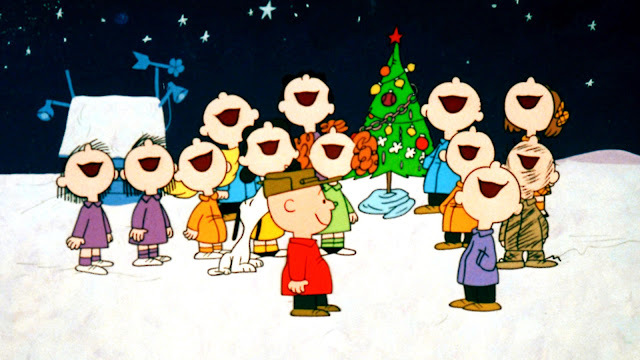 Classic show: Charlie Brown Christmas or Rudolph? Linking up with The Blended Blog. I'm mostly done my shopping too but do continue to pick up little things here and there all month long.